SiFany (Siwon & Tiffany). 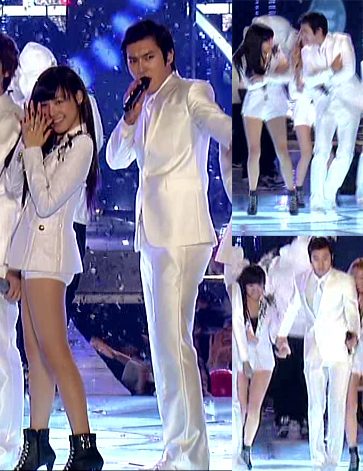 Siwon & Tiffany. Wallpaper and background images in the Super Generation: Super Junior & Girls' Generation club tagged: super junior suju girls' generation snsd siwon tiffany. This Super Generation: Super Junior & Girls' Generation photo might contain bem vestido pessoa, terno, calças de terno, terninho, pessoa bem vestida, terno das calças, pantsuit, terno de calça, hip boot, and thigh boot. Ah Yihee ! that's too cheezy !